Churches across England are reporting that a deceptive cult is attempting to ‘enlighten’ members of the UK’s largest congregations, through ‘deception and control.’ The Church of England issued a formal alert to almost 500 parishes in London about the activities of the group known as Parachristo. Parachristo, is the official name of a South Korean cult that is attempting to persuade members of the Church through ‘enlightenment’ and ‘secret’ Bible Study meetings. Members of the 500 churches told the Telegraph that the deceived would withdraw from family and friends, and some gradually withdrew from work and school. Parachristo, the organization, being labeled as a cult, is a registered charity that runs Bible study courses at an anonymous industrial unit under a Botox clinic and a personal training company in London Docklands. 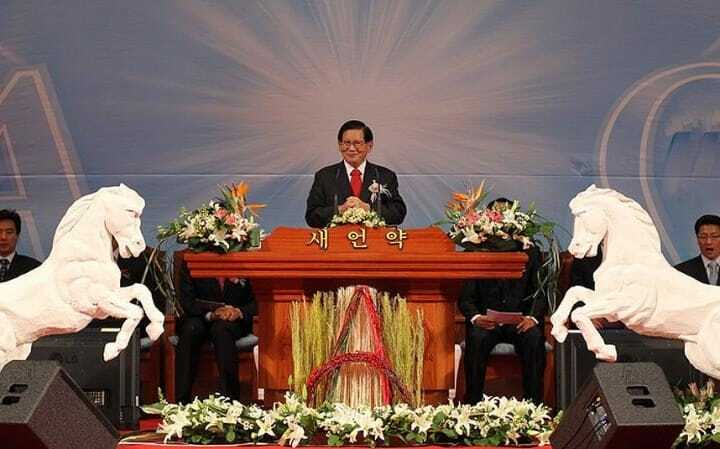 The cult is linked to a controversial South Korean group known as Shinchonji (SCJ) – or the “New Heaven and New Earth” church (NHNE) – whose founder Man-Hee Lee is referred to as God’s “advocate.” – Footage here. The cult has tentacles that span across the world, but a large part of their stronghold is within London. Members of the cult are alleged to have visited large evangelical congregations in London inviting worshippers to special study groups. One British man is said to have gone to work with the group full time, sleeping in bunks while telling family and friends he was busy pursuing a high-flying career in the City. Parachristo was formally registered with the Charity Commission this summer as a religious organisation operating “throughout England” for the benefit of “mankind”. Its official aims are stated as advancing Christianity by running Bible classes to “strengthen the commitment of members of the religion” and “enlighten” others. The group lists a business unit near Canary Wharf in east London as its headquarters, while offering a telephone number which does not operate and a website address which has been “suspended”. Those who attend its three-month course are not told initially about links with SCJ but the group strongly denies that this is deceptive. Parachristo is one of many organizations that are actively trying to infiltrate congregations far and wide, in the US there are also reports of ‘infiltrations,’ such as the progressive Christian movement. The most recent attack on Christians is the attempt to alter the persona of Jesus Christ as understood within scripture. The ancient scrolls uncovered in Jordan recently were verified as authentic and genuine, meaning that the discovered tablets did originate from roughly 2000 years ago. According to the Daily Mail; the metal ‘pages’, held together like a ring binder, were found in Jordan in around 2008 by a Jordanian Bedouin and make reference to Christ and his disciples. Experts claim that the tablets date to within a few years of Jesus’ ministry. They were apparently discovered by Hassan Saeda, an Israeli Bedouin, who according to some reports was given them by his grandfather, and by others that he discovered them in a flood. The artifacts were found in a remote part of Jordan to which Christian refugees are known to have fled after the fall of Jerusalem in 70AD. David Elkington, 54, of Gloucestershire, says he is now trying to prevent the codices from being sold on the black market. Analysis of the script by scholars has confirmed that the language of the codices is Paleo-Hebrew. The messages inscribed into the tablets are what is most astonishing. However, one of the largest infiltrations of Christianity was done by the Illuminati. 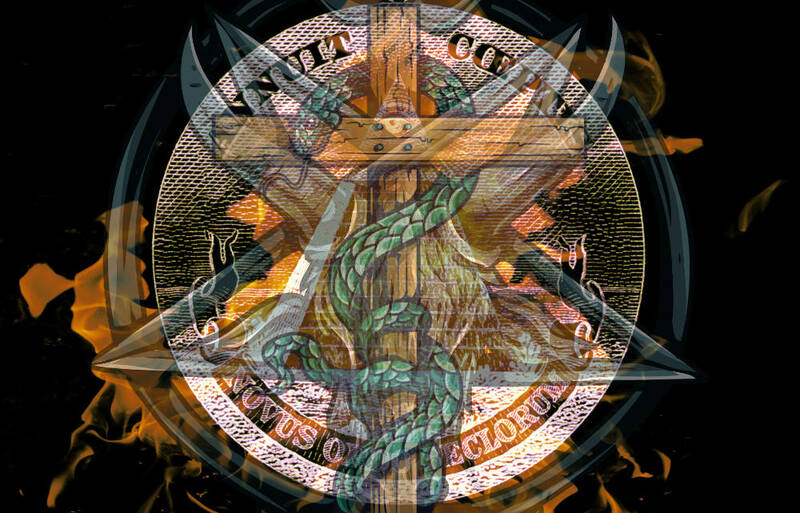 While the Illuminati has never infiltrated the Holy Bible, smaller cults of the Illuminati, such as Freemasons, have created groups to ‘enlighten,’ deceive and control members and leaders of Christian churches. Some of the groups the freemasons either created or helped create the Jehovah’s Witnesses, the LDS Mormons, the primitive Methodists, the Adventists, Moravians, and other Christian groups and denominations. For example, Joseph Smith Jr. was of the Illuminati bloodline and all the LDS church prophets are of the same bloodline. Charles Taze Russell, who started the Watchtower Society of the Jehovah’s Witnesses, was of the Russell Illuminati bloodlines. Over time, many cults and organizations have attempted to destroy real, unadulterated Christianity as the Bible describes it, but have thus far failed. However, as the ‘war’ goes on – church leaders, and pastors are increasingly becoming more flamboyant towards ‘illuminated’ doctrines, rather than sticking entirely to the Word of God. This is why mankind is witnessing the totalitarian takeover of the Church. As Christians, we must question our pastors and church leaders – especially when it comes to those who are 501c3 because many are scared to lose their nonprofit status and governmental aid if their preaching contradicts that of the governmental and ‘enlightened’ agendas. The church is under assault and has been for a long time, but because many churches were rooted in the Word of God their congregations withstood the storms; now, as the progressive churches lay siege, cults and nonsense is beginning to take over. Previous articleMedical Charts For Patients Now Request RFID Numbers? Is that the Baphomet I see lurking in the logo? Oh, why yes, it is!